To commemorate the martyrdom a special function is being organized by HQ Central Command Lucknow and another function at Delhi besides several other functions at Varanasi and Agra the base for partroopers, to remember and pay tributes to Brig Mohammed Usman whose courage and leadership continue to inspire men-in-uniform, generation after generations. Lt Gen Anil Chait, GOC-IN- C Central Command and Lt Gen AK Mishra, Chief of Staff will be presiding over important functions. Brigadier Mohammad Usman was the highest rank officer of Indian Army killed in the Indo-Pakistani War of 1947, who as a Muslim became a 'Symbol of India's Inclusive Secularism'. At the time of partition of India he with many other officers declined to move to the Pakistan Army and continued to serve the Indian Army. He was awarded a posthumous Maha Vir Chakra for his role in the 1947-48 operations. 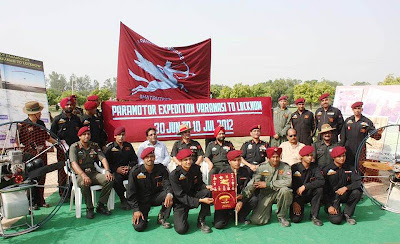 He was in command of 50 Independent Para Brigade when he defeated a numerically superior enemy force in Naushera effecting a virtual turn-around in the J & K campaign. He met a heroic death when he was only 36. Brig Usman was born on July 15, 1912 at Bibipur which is a part of today's Azamgarh District in Uttar Pradesh. Young Usman was educated at Harish Chandra Bhai School in Varanasi. An alumina of the prestigious Royal Military Academy at Sandhurst, he was commissioned in the Baluch Regiment. Despite the bait of becoming the Pakistan Army Chief and intense pressure from the Pakistani leadership to join the Army of the new nation, Brig Usman remained committed to the ideals of his motherland. When the Baluch Regiment was allotted to Pakistan, Brig Usman was transferred to the Dogra Regiment. At the time of Indo-Pakistani War of 1947-48 , Brig Usman, Commander of 77 Para Brigade was side stepped to command 50 Para Brigade, deployed at Jhangar in December 1947. However, with odds heavily against him, Jhangar was wrested by the Pakistanis on December 25, 1947. The Brigadier vowed to recapture Jhangar - a feat he accomplished three months later. With the fall of Jhangar, the emboldened Pakistanis seized Naushera and the situation looked grim indeed. In the face of overwhelming odds, he affected the defence of Naushera during the crucial battle by February of 1948. This proved to be the turning point in the campaign that earned Brig Usman two titles of endearment - ‘Hero of Naushera, and ‘Saviour of Naushera’. His fiery leadership resulted in major defeat of the enemy at and around Naushera with 2000 casualties (about 1000 dead and 1000 wounded) while he suffered only 33 dead and 102 wounded. Jhangar, however loomed large in his mind, and the liberation of which became his obsession. 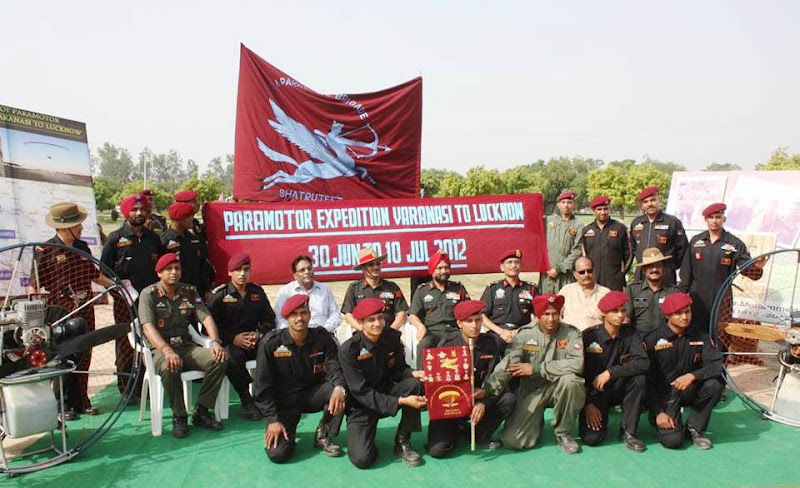 After a month's planning, he was able to put into motion his operation to free Jhangar, and on March 18, the Para Brigade achieved its objective. Jhangar was once again in Indian hands. But it was Jhangar that cost Brig Usman’s life. On July 3, during a lull in shelling, Brig Usman came out of his tent. In no time, a single shell caught him killing him instantly. Brigadier Mohammed Usman set an example of personal courage, exceptional qualities of leadership and devotion to duty in the highest traditions of the Indian Army and was thus rightfully honoured with the Maha Vir Chakra. Next CNS To Be First Non-Ex-NDA! !